Traditional gingerbread –the cake, not the cookie, although those are good too — is one of my favorite desserts, but one I hardly ever get to eat. Gingerbread just feels like it should only be a Christmas dessert, and there are always so many treats around Christmas time, that this fabulously simple dessert sometimes gets bumped from the menu. I think gingerbread should get a whole season of love, not just a single holiday at the busiest time of year. Pumpkin gets a full four months of love; gingerbread should get the same respect. 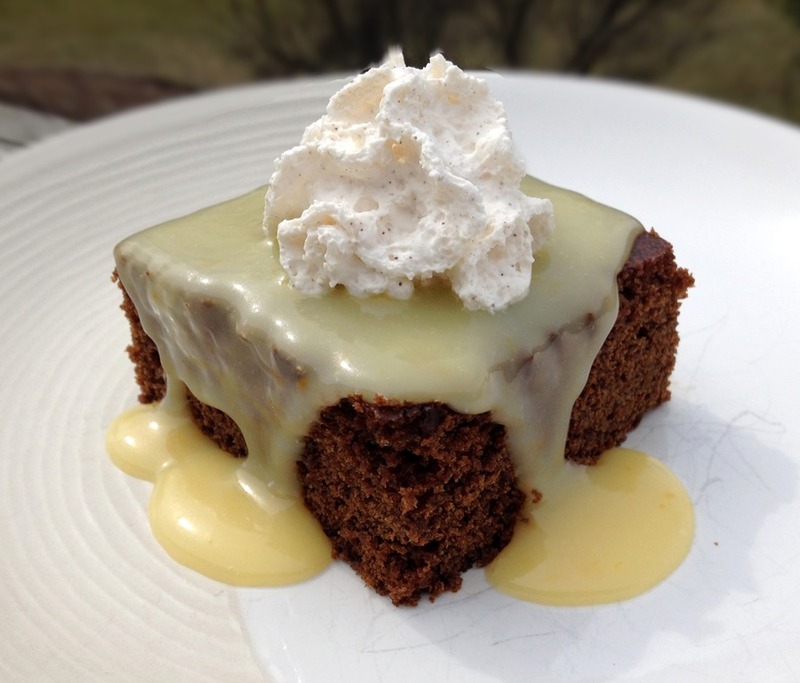 Gingerbread is a simple to make cake that is great alone, but also pairs wonderfully with a tart lemon sauce and cinnamon flavored whipped cream. Preheat the oven to 350°F. Grease a 9X13-inch baking pan and set aside. In a large mixing bowl, cream the butter and sugar until well blended. Add the egg, molasses and vanilla and mix again. Combine flour, baking soda, salt and spices in a separate bowl and use a whisk to mix well. Add to mixing bowl and mix well. Add the hot water and beat until smooth. Batter will be thin. Pour the batter into the prepared pan and bake for 30-35 minutes, until a toothpick inserted in the center comes out clean. Don’t overbake or the gingerbread will be dry. 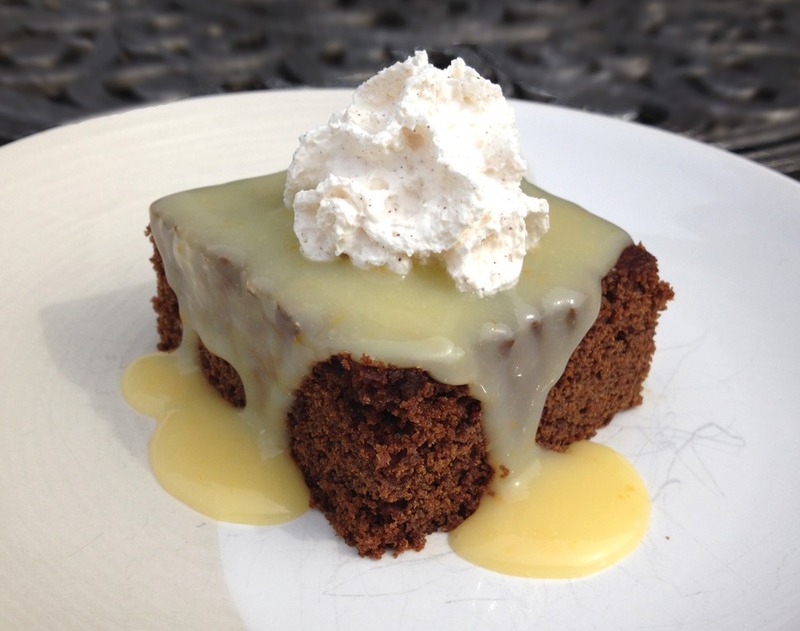 Serve the gingerbread warm or at room temperature with lemon sauce and/or cinnamon whipped cream. In a medium bowl, begin beating the whipped cream and vanilla until soft peaks form. Add the cinnamon and powdered sugar and beat until medium-stiff peaks form. Store in refrigerator until ready to serve. In a medium saucepan, use a whisk to mix sugar, cornstarch and salt. Stir in water and lemon juice. In a small bowl, whisk egg yolks until well mixed and then mix into saucepan. Cook over medium heat until thickened and bubbly. Stir in lemon zest, butter and vanilla. Cook until butter melts and then remove from heat. Serve warm.